Do you want to see some of England's most historic cities and landmarks? 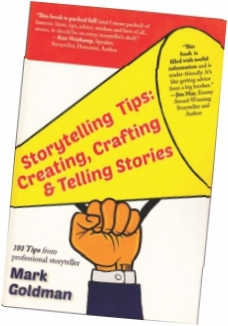 Do you want to participate in story workshops and have fun? Then this tour is for you! 11 DAYS ON THE GROUND! Airfares are WAY DOWN - Contact Mark for info! 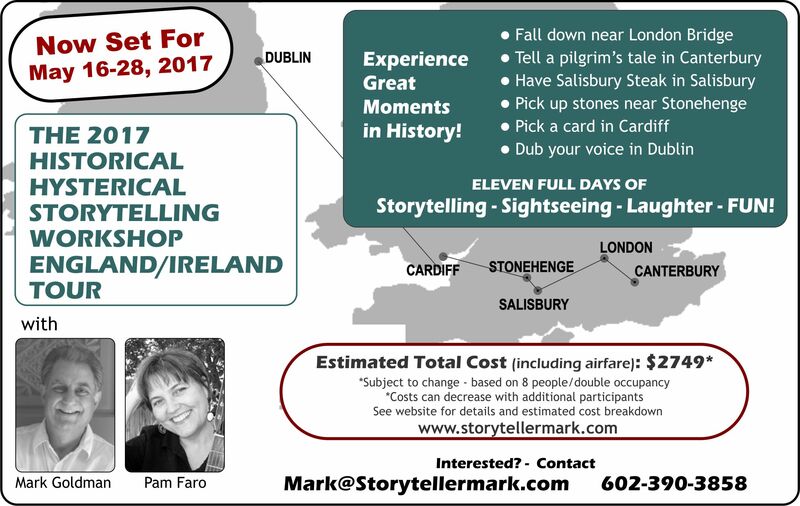 After having bicycled England for four summers, I am organizing this Storytelling Workshop Tour for the summer of 2017. If you love to tell stories, talk about stories, craft stories, have fun and see the sights with friends, then this tour is for you. Last year, our group of 5 students and I spent ten days on the ground, touring, laughing and having loads of fun! This year's plan is to spend eleven days touring these iconic sites. This tour is on trains and busses, not bikes, so anyone can come and enjoy. Listeners are welcome too! The tour and workshops will be lead by me and my friend and colleague, Pam Faro. Pam has been telling since 1988 and has traveled the world. In 2008 she gave performances and workshops across eastern Australia; in 2010 she performed and taught in England, Italy, and Germany; 2011 she taught and performed in Canada. In 2012 Pam performed at the Rome International Storytelling Festival and at the Beyond the Border Wales International Storytelling Festival and told “Uncle Olaus Survives the Titanic” – the true story of her great-uncle who survived the tragedy. Want to see what my previous trips to England have been like?